Based on the clinical study protocol, Auxiliis Data Manager designs the master CRF in a paper based, easy to interpret version that will be provided for client review and approval. Once approved, the master CRF will serve as the basic document for the development of the eCRF database. 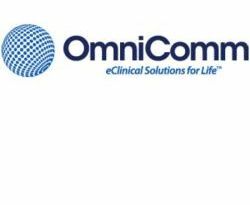 Auxiliis offers TrialMaster™, an MSSQL-based clinical data management system licensed from OmniComm, which is among the top-three eCRF solutions used by the global pharma and biotech industry but Auxiliis is also happy to work with other eDC platforms if requested by the client. The backbone database system in Budapest with Auxiliis’ own data management and programming staff supports all data management needs of a clinical trial. In order assure reliable operations at all times, Auxiliis data servers are placed into an independent server farm fulfilling all IT security requirements and ensuring adequate internet bandwidth even for large scale global trials. TrialMaster™ is a validated electronic data management system compliant with all FDA and EMA regulations with built-in training options for all user roles engaged in the system. Investigators need to pass a basic training module before they will get access to enter trial data. Full edit check and very smooth data management and cleaning are features of this eDC system. Automatic flagging resulting in fully automated e-mail sending to relevant staff of sponsor or CRO is easily set up. In addition, TrialMaster™ has various internally validated optional modules to support risk based monitoring, CDISC/SDTM mapping, medical coding, capturing of ePROs. If needed, TrialMaster™ also supports paper based data collection. Auxiliis can easily integrate data from third sources (e.g. central laboratory, central ECG, ePRO) into the clinical database. The use of TrialMaster™ is associated with a license fee that is calculated based on the phase and size of the study and irrespective of number of sites or study duration. Auxiliis has ample experience in Phase I, II and III with TrialMaster™. Recently, Auxiliis successfully completed a phase III oncology trial in more than 100 sites in Europe, USA, Asia, Australia and New Zealand. Guided by the final Data Clarification Policies document, the Data Manager will conduct computerised and (manual) visual checks on the data to discover inconsistencies. Review listings will be programmed and generated to support the manual review. Inconsistencies will either be solved or queries will be raised within the TrialMaster™ system. Patient profiles may be revised by the Medical Monitor prior to enrolment and as well during the study to detect inconsistencies, identify potential protocol deviations, ensure consistency among study endpoints and make sure adverse events are properly recorded and followed up, etc. Medical review is supported by built-in eCRF reports but as well targeted data listings generated and validated by Auxiliis clinical programmers. MedDRA coding of adverse events and medical history items and coding of medication history and concomitant medication according to WHO Drug Dictionary is facilitated by a SAS based solution developed and validated by Auxiliis in line with the study specific Coding Conventions agreed with the Sponsor. The medical coding process is supervised by the Data Manager and all not automatically assigned codes are reviewed and approved by the Medical Reviewer/Medical Monitor. As frequently as agreed but before the database lock the latest, a reconciliation of the SAE line listings of the safety database will be reconciled against the respective adverse events captured in the clinical database. Any inconsistency will be resolved, queries will be raised as needed. The process is guided by the SAE Reconciliation Plan. Auxiliis offers SDTM conversion – or other CDISC standard related – services. For SDTM conversion internally developed generic support tools are used to support SDMT conversion sub-tasks. This allows for having very lightweight SDTM domain specific programs (rapid development, easy review, seamless transfer of tasks between developers), and helps in maintaining high overall quality and data accuracy. Auxiliis performs data integration services involving pooling/merging databases, data migration between database schemes, verifying data integrity. Auxiliis provides full statistical support to customers from elaborating study design and sample size determination /power calculation, writing the statistical sections of protocols all the way to the writing of the integrated Clinical Study report. Data analysis is done based upon a statistical analysis plan (SAP), including mock tables, listings and figures, created by Auxiliis. All programming is standardly done in SAS. At Auxiliis all programming (SAS or other) activities (including but not limited to data analysis, biostatistics, data integration and conversion) are performed under Git version control that ensures a reliable codebase. After mutual agreement with the customer, the SAP becomes the guideline for analysis. A draft version of the tables, listings and figures is sent to Sponsor for review. Comments are implemented in the final version which will be accompanied by the statistical text of the integrated Report (according to the ICH – E3 guideline). Before un-blinding the data, if applicable, a blinded data review meeting is planned with the major goal of determining the different analysis populations (FAS, SAF, and PPS) and to identify protocol violators. Auxiliis personnel has also experience in teaming up in data safety boards, conducting and planning for adaptive designs and general statistical consultation.